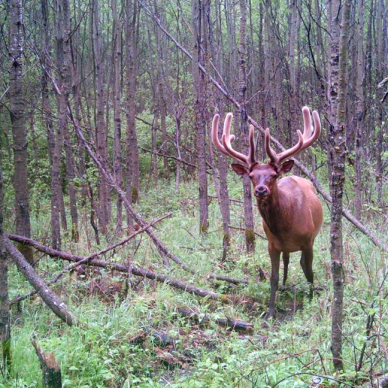 Romance is in the air as the leaves turn to gold in Riding Mountain National Park. And while not visible to the eye, it can certainly be recognized by ear. 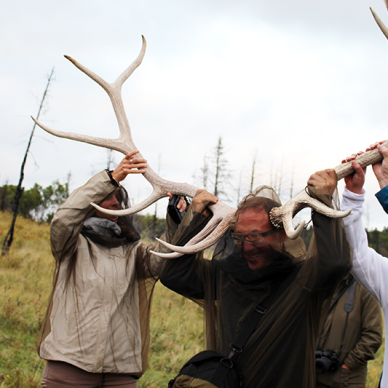 During the rutting season, Parks Canada offers a unique bugling experience that takes you on an educational walkabout (with many photo ops, like the one pictured above) before entering the woods in hopes of catching a glimpse of the elusive elk. The secret is to mimic the distinguishable bugle sound in the best game of telephone tag you’ll ever play. Standing in silence in the middle of a pitch black field, you can imagine how strange it is to hear a grown man belt out the bugle into darkness – but it all makes perfect sense as you hear twigs snapping, slow steps coming from the surrounding woods and your call answered in the distance. No, it isn’t the frantic camera clicking you might hear surrounding the Mona Lisa in Paris. 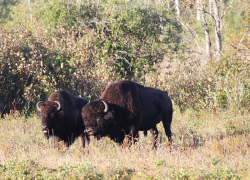 This is the quiet snap as cars roll slowly by in the Bison Enclosure of Riding Mountain National Park. 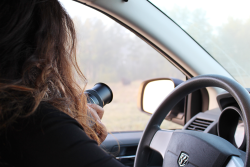 Don’t be alarmed when these huge mammals decide to become road blocks – just park your car, roll down your window, and get the perfect shot. We guarantee this the only time a traffic jam will bring you peace and quiet. Camping just wouldn’t be camping without a few good singalongs. Book the official Riding Mountain National Park campfire bard, Patrick McDermott, for an evening of lively campfire songs that are not only educational but also really catchy. 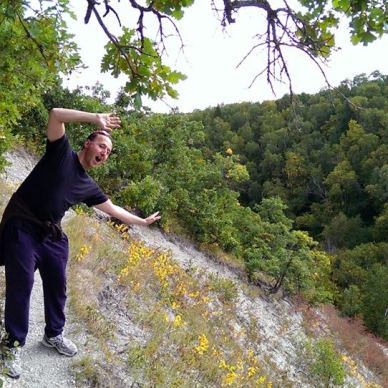 What better way to learn about the park than to sing in unison with your friends and family? We suspect many bands and acapella groups have formed as a result of this program. In Manitoba, s’more making is serious business and it might even be considered a crime to have a campfire without these delicious marshmallow treats. Along with the soft sizzle comes the inevitable scream of a first-timer burning their marshmallow (later they find out burnt marshmallows are actually delicious), followed by the crunch of a perfectly constructed s’more being enjoyed. The roar of the fire can only dream of competing with the heavenly melody of this delectable treat. 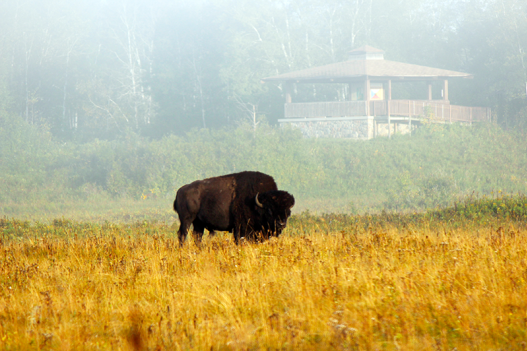 A getaway to Riding Mountain National Park just might be the perfect compromise for opposing travelers. 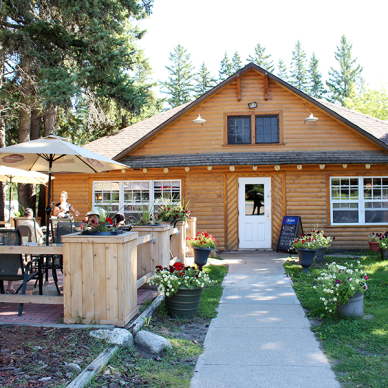 Visitors can go from camping in the bush to strolling along the trendy town of Wasagaming in as little as 15 minutes. 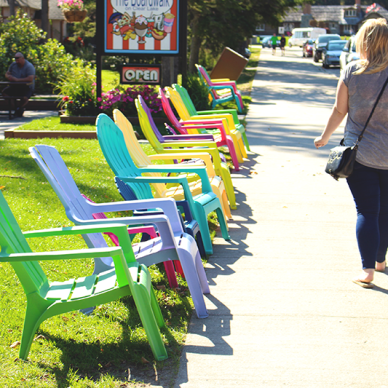 Even into the early days of fall, the town’s energy holds on for just a while longer as people line up for The Lakehouse’s famous homemade icecream sandwiches, shop for end-of-season sales and catch the last rays of the summer sun on the beachfront of Clear Lake. 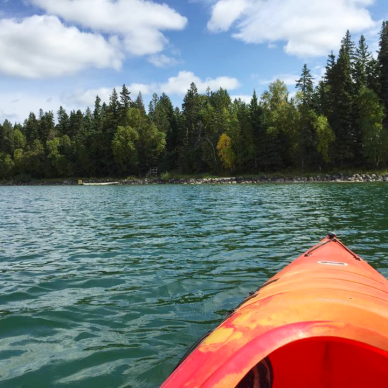 If you need to escape that town bustle for just a few hours, hop on a kayak and head out into the gorgeous calm waters of Clear Lake, where the only sound will be your paddle dipping gently into the water with every stride forward. 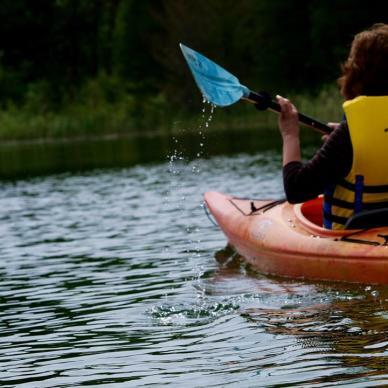 And while other activities may be limited to spring and summer, kayaking and canoeing can be enjoyed well into the fall until freeze-up. 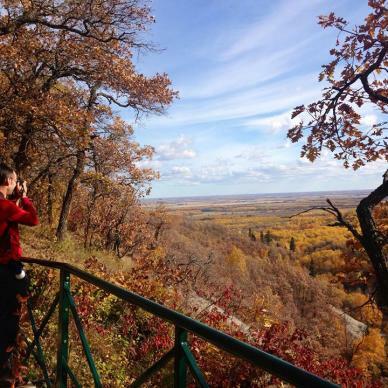 Hikers and leaf enthusiasts alike will love exploring the vast amount of trails in Riding Mountain National park. There are more than 400 km to explore, from short treks to longer or multi-day trip hikes. Visiting the park on the cusp of fall is a treat for the eyes, as the leaves turn from green, to yellow, to shades of orange and red. Is there anything more indicative of fall than the sound of crunching leaves beneath your feet? We think not. Silence, perhaps, is the best song you can get in Riding Mountain National Park. Escaping into nature is to escape into one’s thoughts and immerse yourself in the environment around you. 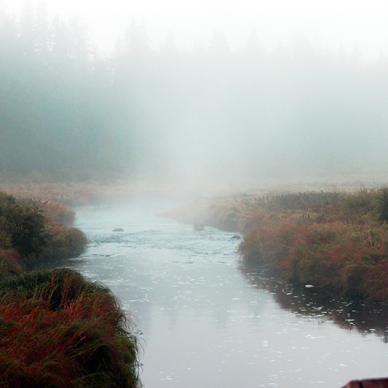 In the park, foggy mornings are matched only by dreamy sunsets along still water. It is the perfect place and the perfect time to decompress and look inward. Now that’s a song we could put on repeat. Keep that relaxed vibe going. 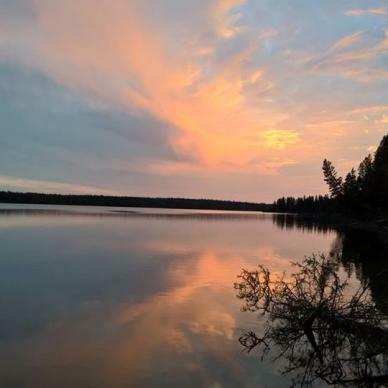 Plan your next trip to the other side of Manitoba at Falcon Trails Resort and discover 10 steps to clear your mind.